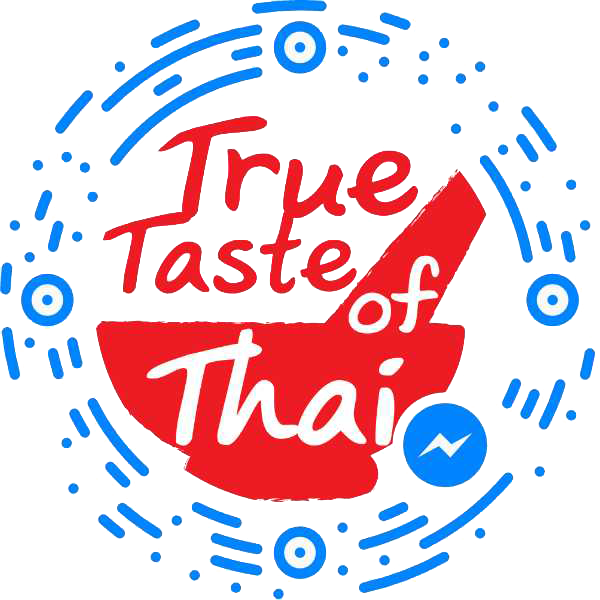 You can’t go wrong with True Taste of Thai if you want an authentic experience in your very own home! We have been to Thailand and took a Thai cooking class there. This was the next best thing and we learned some dishes we had not learned previously. The meal was delicious. The ingredients were provided. Our highlights were Tom Yum Kung, which is a spicy soup with shrimp, and Moo Tod Kratiem, which is a pork with garlic and white pepper. The instructor is from Thailand and the class was very hands on. We highly recommend it! With my busy schedule I didn’t feel I would have the time to take cooking lessons but Krong worked around my schedule and came to my house to give me the lessons. I have always had trouble cooking but Krong was very patient with me. She took me through every course step by step and seemed happy to do so. In no time I learned how to cook my very first authentic Thai meal and I couldn’t believe how easy it was or how well it turned. Her skills are amazing and her food is fantastic. I developed quite the taste for Thai food when I traveled to Thailand in 2008. The variety of foods and nuance of flavors was quite different from what I had eaten in the US. Only the True Taste of Thai could satiate my cravings! What an incredible experience! We opened our doors to Krong and she immediately transformed our kitchen into a Thai food wonderland. She unpacked all of the ingredients and everything was ready for us to begin in no time. She explained each item and even helped us with the Thai pronunciations, it was a riot! We felt like professionals! With a bottle of wine and in the comfort of our own home, my wife and I couldn’t imagine a better way to spend an evening! Thank you Krong! Pablo V. & Katty S.
I really had a great time cooking next to Krong. She is the reason I am able to treat my family to fabulous Thai meals that I can prepare myself. My husband and kids loved her meals from the very first bite and I continue to love cooking them. It is like the gift that keeps giving! Krong is a great teacher and she comes right to your house! The food was amazing, and now my girlfriend and I have the recipes — and the knowledge to cook these dishes again. The dishes were all great, but the ones I liked the most was the Kai Kratiem Prik Thai (Chicken with garlic and white pepper). 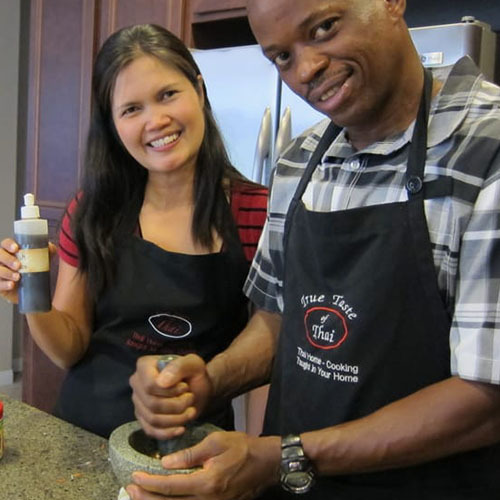 It’s so nice to be able to learn how to make authentic, delicious food right in the comfort of our own home. I highly recommend Krong’s classes. Take a lesson from her — you won’t be disappointed. After married, I left Thailand and have been in the US for 5 years but haven’t had a chance to go back to Thailand. Cooking Thai food at home comforts me and makes me feel like I’m still close to my family and friends. Although I am a Thai native, I still have more to learn about cooking delicious and traditional Thai food. 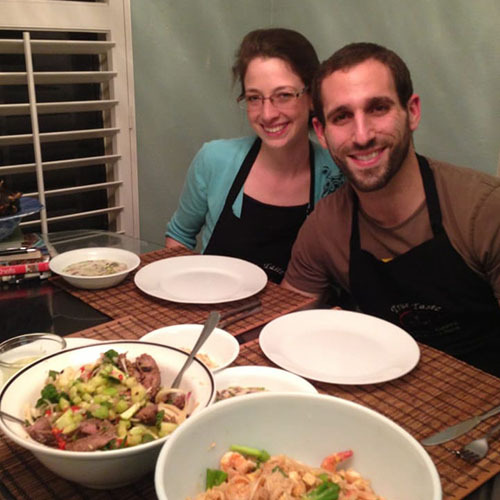 After taking classes with Krong, I had more confidence to cook new things for my husband who loves eating Thai food. I absolutely loved having Krong come to my house! Her teaching was clear and easy to understand, and the recipes were delicious. My favorites were the Panang Nueng (Curry with Beef) and the Kai Jeaw Moo Sub (omelette with ground pork). They were better than any Thai food I have had at a restaurant – and I didn’t even have to leave my home to learn how to make them! I can’t wait to make them again for my friends and family. I could not recommend Krong more highly. You will love your lesson! 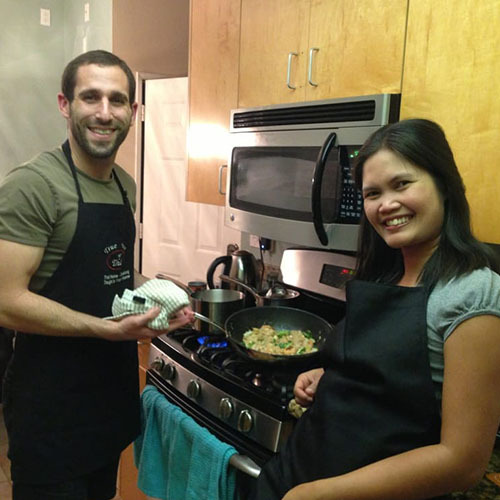 Do you want to have fun while learning authentic Thai cuisine? Krong was my teacher and a good one too….she teaches choice dishes and the essentials of the technique to master the dish. Krong made me feel confident and it was wonderful on the first try. Krong was a lifesaver and helped me to pull off a last minute party for my husband’s birthday after we found out his favorite restaurant was closed unexpectedly. 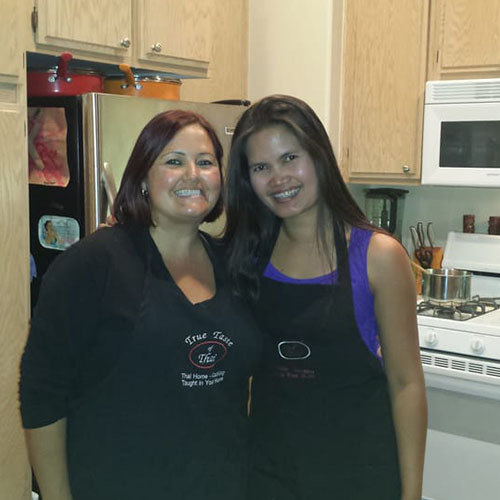 She brought everything she needed and cooked up a fantastic dinner that everyone raved about. She was flexible to accommodate all of his favorite dishes, filled with intense flavor and delectable aromas. Of course, we enjoyed leftovers the next day and savored our unique experience. As regular guests at many of the best local Thai restaurants, we highly recommend the outstanding cuisine and professional service provided by True Taste of Thai. We will definitely be repeat customers! Customers giving his/her comments about the class right after learning and cooking together with Krong. 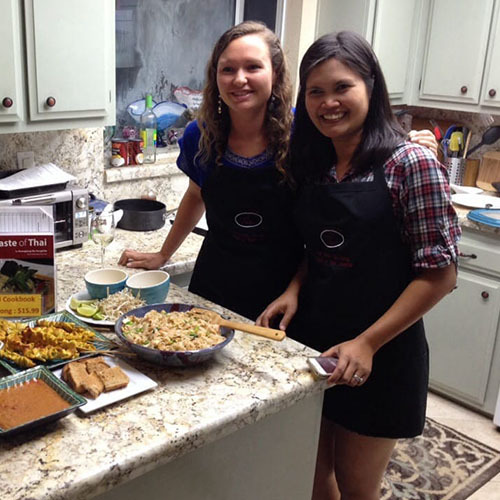 True Taste of Thai : Thai Home-Cooking Taught in Your Home! Check out our 5 stars rating on Yelp!